The road seems to be a popular place for the local fauna to hang out. 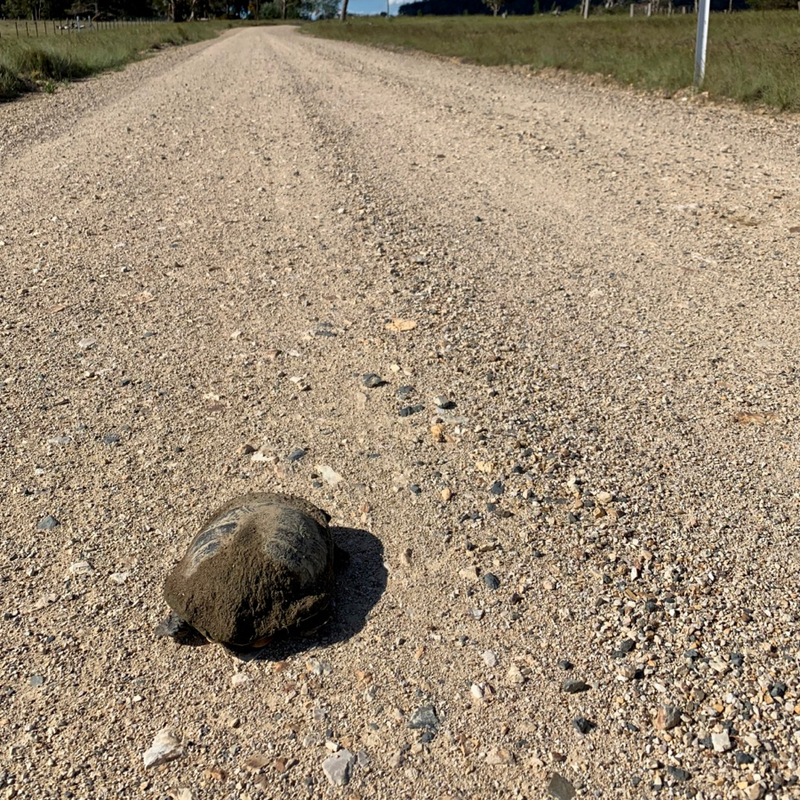 This snake-necked turtle was slowly plodding along until I stopped to move it to a paddock to one side of the road. My dilemma was to try to determine which side of the road it might have been heading for otherwise it may try to cross the road again (and once again place itself in danger from passing traffic).